Often I find myself being disappointed when visiting exhibitions that have topics I know about. No doubt this is because I have built a certain expectation in my head and can then easily assess if the exhibition lives up to it. Such was the case with the Cézanne exhibition at the Ashmolean Museum last year. 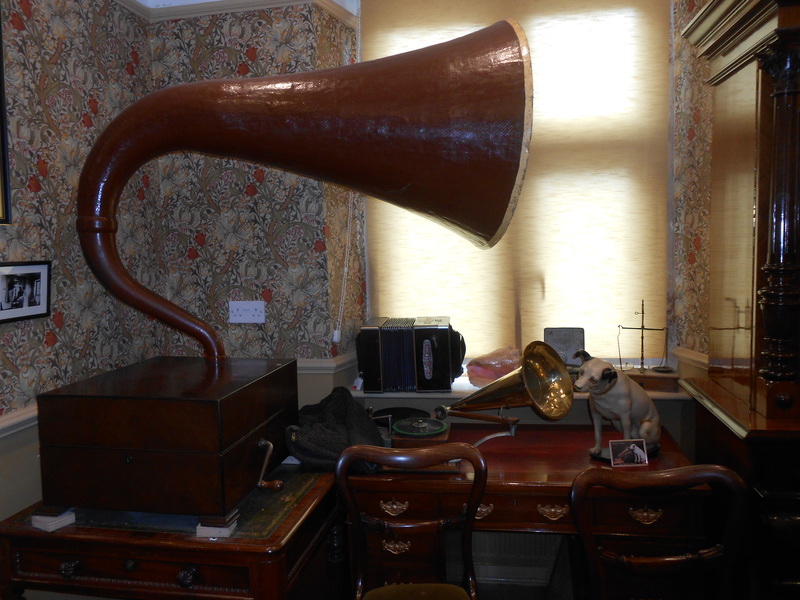 However, when I know nothing at all about a topic, I usually enjoy the discovery and this didn’t fail with the Mechanical Music Museum in Northleach. I wasn’t too sure what I was going to find there and my expectation was to see a collection of old music boxes piled high in an old fashioned décor. 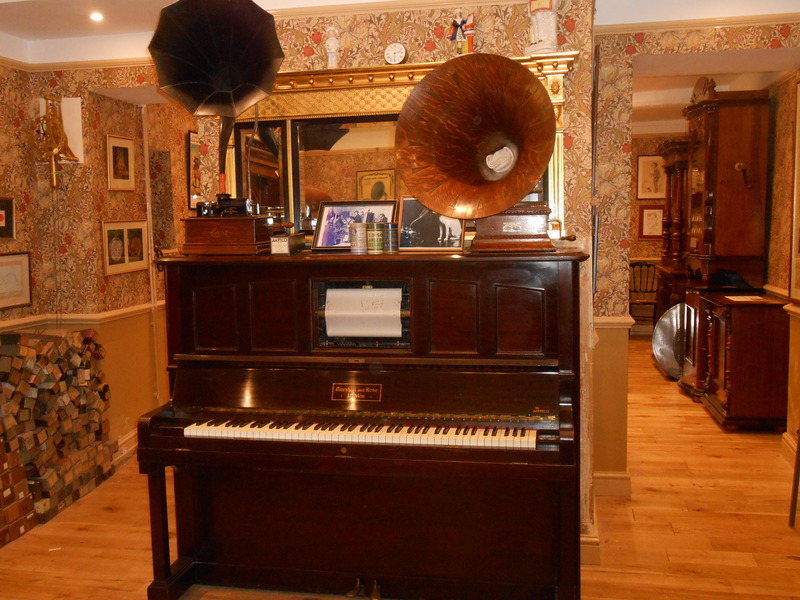 The old fashioned décor is there all right but the music boxes, pianos that play themselves, barrel organs and mechanical music novelties are far from gathering the dust. They are in fact played by a guide and it is possible to join the tour at any time, leaving when you are back to the first instrument they played. The moment you hear the first instrument, you are hooked and want to stay to listen to them all. I have two vivid memories of the museum, which I visited a few month ago. The first is the piano that plays by itself recordings on request (we were offered a selection of Chopin, Rachmaninov and Strauss among others). What we heard next is the score as it was played a hundred years ago by the recording pianist. The enchanting music and the keys moving by themselves offer a captivating experience, part charming, part spooky. The second memory is of a musical chair for children. A child in the audience was asked to sit on that chair and his weight activated a lovely melody. The website is right in referring to their museum as a living museum. 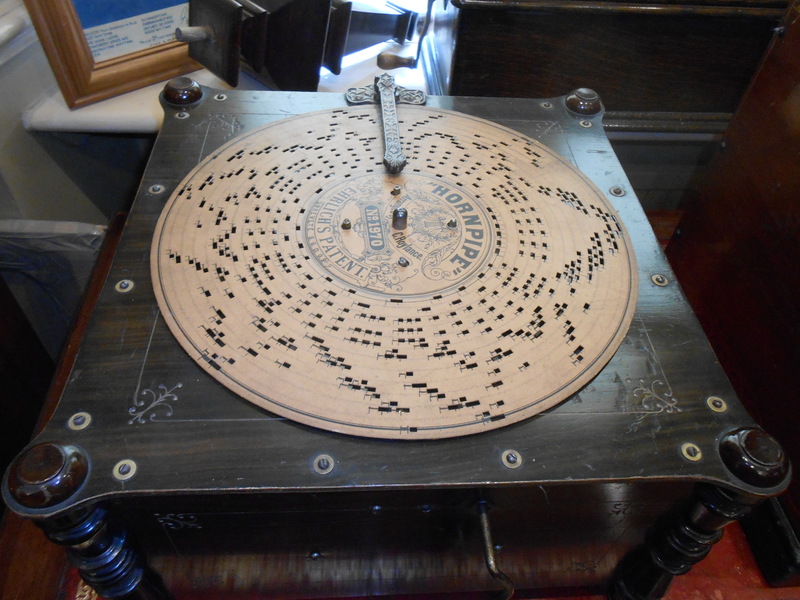 On top of the very first disc recordings and piano symphonies, it is bursting with chimes, ding a lings, rings, peals and clangs, all arranged in the right order to make music. This place was one of the best surprises of my winter in the Cotswolds. I entered the museum a serious adult with too much stress in her life and exited filled with child-like amazement and a twinkle in my ears. Lovely to read about your visit yo this museum. We visited it about 10 years ago.